Hello :) Gbm doesn’t quite sound right to me, do any of you know what to play alternatively? gbm doesn’t quite sound right to me, can any of you think of alternatives? Also, Em instead of E sounds okay too! Excellent post. I used to be checking continuously this blog and I am inspired! Extremely helpful info specifically the last phase :) I maintain such information a lot. I used to be looking for this particular information for a long time. Thank you and best of luck. 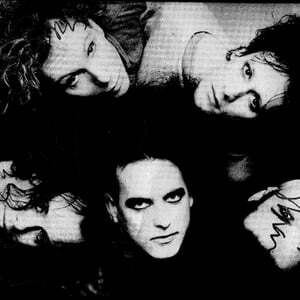 The Cure are a rock band which formed in 1976 in Crawley, England, United Kingdom. The band originally consisted of Robert Smith (vocals, guitar), Porl Thompson (guitar), Michael Dempsey (bass) and Lol Tolhurst (drums), with the band's lineup overgoing several changes throughout the years and Smith remaining as the only constant member throughout the band's history. The band currently consists of Smith (vocals, guitar), Simon Gallup (bass), Roger O'Donnell (keyboards), Jason Cooper (drums) and Reeves Gabrels (guitar).